Sometimes we get so caught up in our busy lives that it seems impossible to squeeze in anything else besides work or school, family, and friends all while keeping healthy and happy. But finding time for volunteer work isn’t just good for those you help. It’s beneficial for you, too. Kahea Paradis volunteers because she loves people. She also wants to show her children that getting involved in the community is a regular part of life. Paradis fondly remembers volunteering at an event at Hui Malama Ola Na Oiwi on the Big Island. It was a ladies night that offered free pampering and health awareness. Participants got free haircuts, manicures, facials, and massages and learned that self-care is a necessity, not a luxury. With her passion for people and giving back, Paradis is determined to always make time to volunteer. 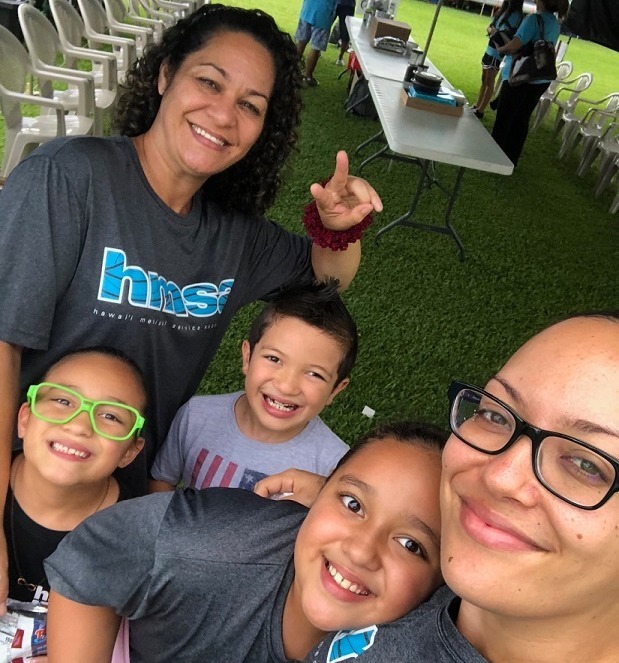 Kahea Paradis and her family volunteering at Relay for Life of Hilo. While balancing work and his personal life, Keith Ah Sam doesn’t have a lot of time to volunteer. However, he decided to help out at the Hawaii Book and Music Festival to keep his co-worker, Shirley, company. Ah Sam enjoyed interacting with people and spending time with his co-workers outside of the office. His positive experience at the Book and Music Festival inspired him to volunteer more in the future. Keith Ah Sam helps push a double-hull canoe at an AccessSurf event at Kualoa Regional Park. Kim Hera loves everything about volunteering. Whether she’s spending time in the community or talking with people, she enjoys building lifelong relationships. 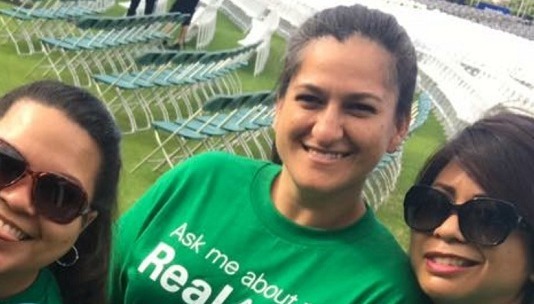 Her most memorable volunteer experience was at the Oprah Winfrey event at the Maui Arts & Cultural Center in 2017. The night before the event, Hera and a small team set up about 5,000 chairs. She felt proud to be a part of such a special event and is always looking for ways to get involved in the community. Kim Hera, her friends, and 5,000 chairs at the Oprah Winfrey event.